Kitchen is one of the most important part of any residence. It is the place where meals for you and your family are prepared. It is our responsibility to keep the kitchen safe and secure. We should be mindful about how to minimize the risk factors so that everyone remains safe and protected. Everyone understand that kitchen is a sensitive area where LPG cylinders are used for cooking food. Apart from the basic precautions you must make sure you use best quality LPG hoses from reliable and trusted manufacturers. 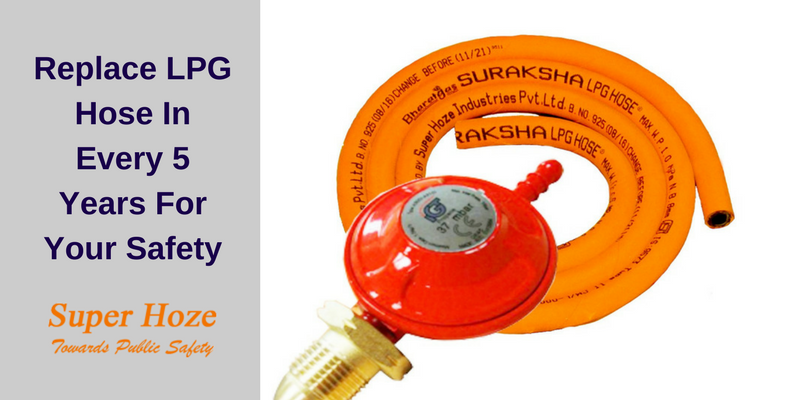 Everyone lays stress on using the right regulators but it is also very important to choose the right kind of LPG hose so that your kitchen is protected from mishaps or accidents which normally happens due to negligence. People should be discerning about the right kind of LPG hoses for cylinders. Normally look for those who are approved by a government body like ISI and are strong and sturdy. A worn out LPG hoses might cause a gas leakage which is very risky for the entire household. If you are living in an apartment, you might risk your neighbours as well. A leakage is the most common reasons for fire related accidents in a household. If the gas is leaking, it might lead to cylinder explosion if some tries to light a gas or try to use electric switches. If that happens, the person nearby will receive severe burns which can lead to death of the person. A cylinder explosion might partially or completely damage your house. There have been several cases where properties converted into debris due to LPG cylinder explosions. As per the statutory instructions, an LPG hose must be changed after 5 years. Hence, we should take the best possible precautionary measures as stipulated by the government and change the LPG hoses after 5 years.